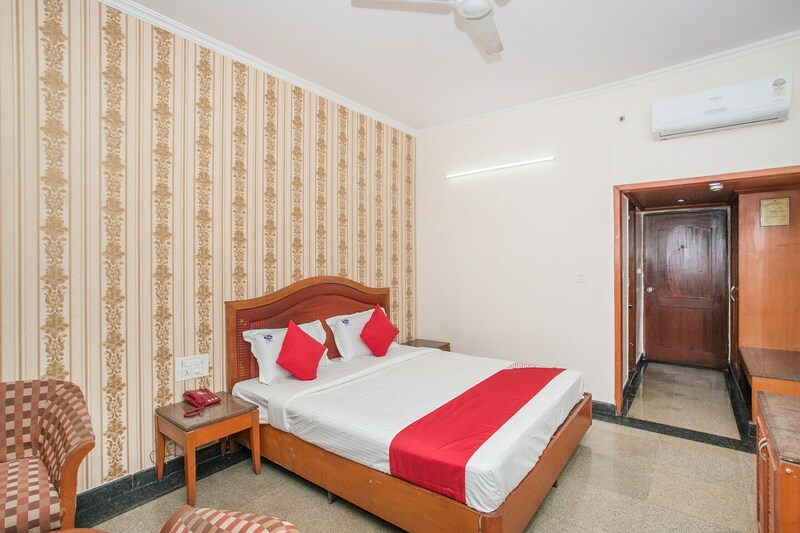 Hotel Chetan International should be your choice if you are looking for spacious and comfortable rooms. The rooms are spacious and elegant. It is furnished with armchairs, a table and side tables. The window makes way for sunlight and makes the room feel fresh. The wallpaper is impressive and adds to a friendly vibe in the room. The hotel has a large banquet hall and a conference room. It offers parking facility, an elevator and CCTV cameras.